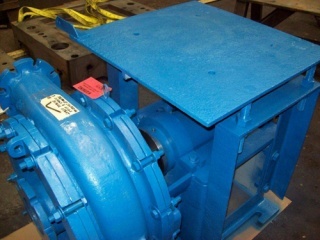 The 24" impeller pump highlighted here is used in a steel mill, within a slag pit. 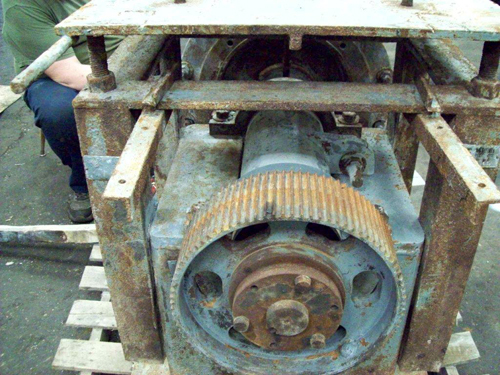 When the pump reached the end of its service life, the mill operators called us to perform a complete rebuild. Upon teardown we realized that the fabrication of a new shaft would be necessary. Utilizing our in-house engineering and design group a full analysis of the shaft and related components was performed. A new shaft was designed with a full set of engineering drawings. Utilizing our precision CNC lathe, and horizontal mill, we fabricated a new shaft from 4140 steel. Our engineers also determined that to produce a reliable quality shaft that tolerances of ±.0005" would have to be met, as well as the application of a hard coating. The pump was then reassembled with the shaft, new bearings, seals, and fasteners, and delivered to the customer's site in Ashland, Kentucky. The entire project was completed in only 3 weeks. To learn more about this project, the processes that it utilized, see the table below or contact us directly. 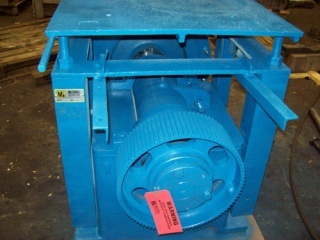 Slag Pit Pump for a steel mill.